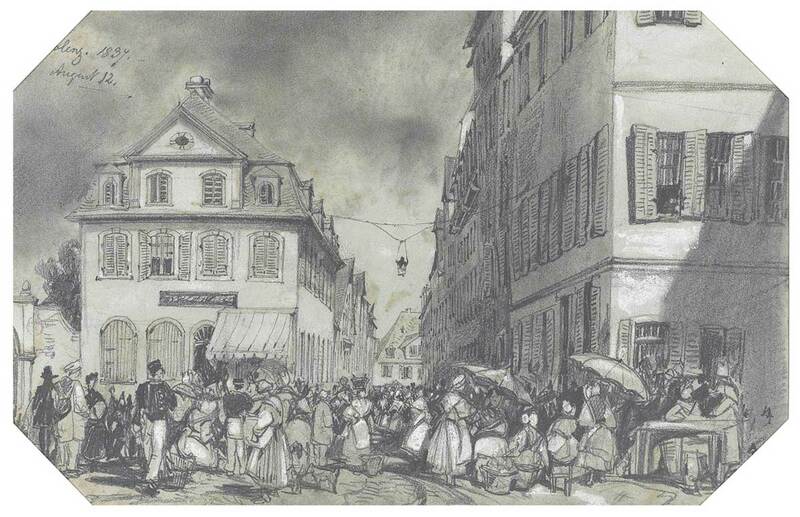 Edward Lear, The market square, Coblenz, Germany. Partially inscribed and dated ‘[Co]blenz. 1837./August 12.’ (upper left). Pencil heightened with touches of white on blue-grey paper, the corners cut. 6 5/8 x 10 1/8 in. (16.8 x 25.7 cm.). This entry was posted in Edward Lear and tagged Edward Lear, Germany, travel, watercolours. Bookmark the permalink.